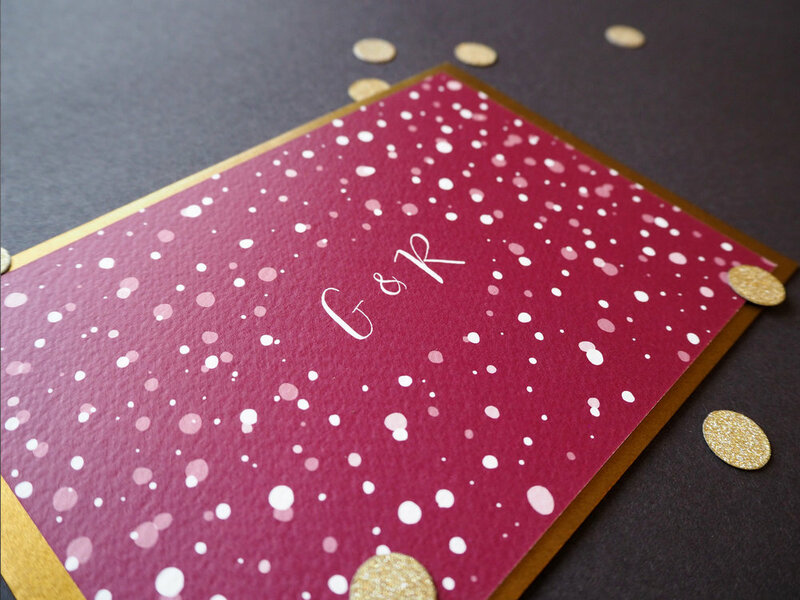 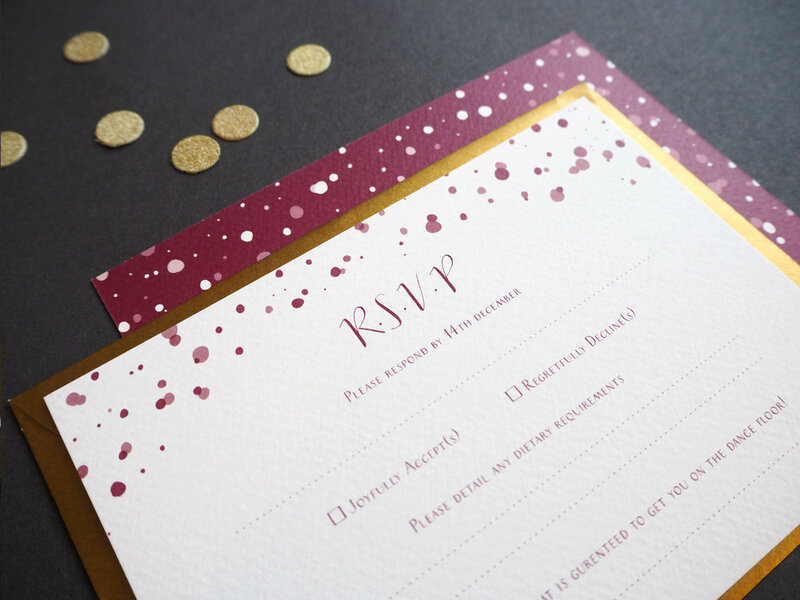 Clouds of organically shaped confetti flurries falling from the top of the invitation and swirling around the monogram initials on the reverse. 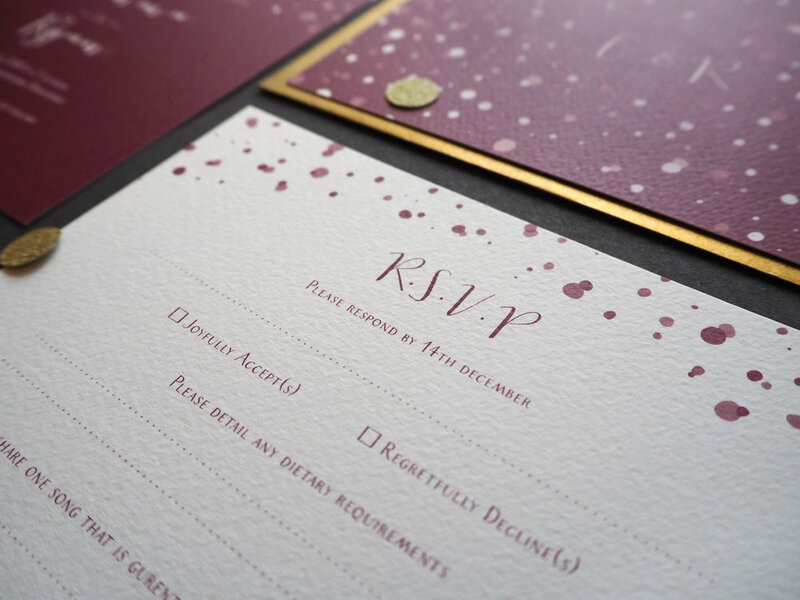 Bolstered by bold background colour and modern calligraphy names, this delicate suite creates an impact. 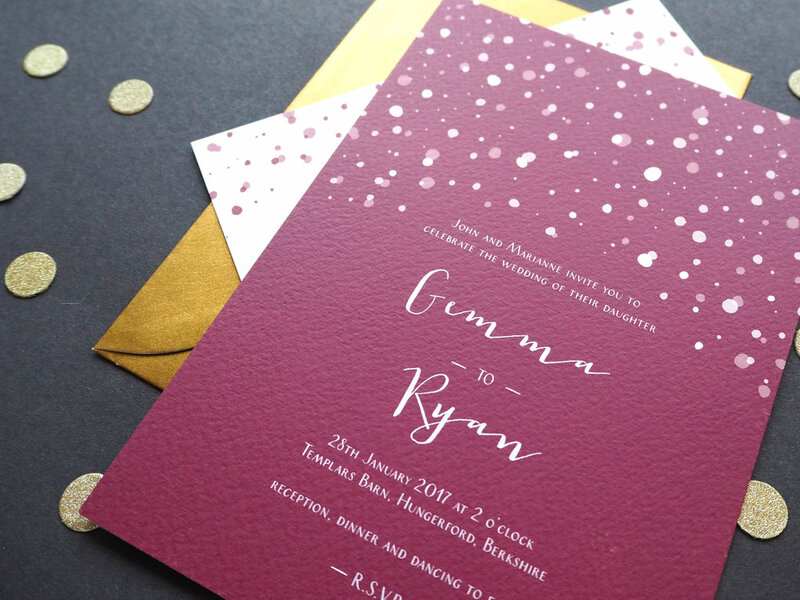 The colours of this design can altered to suit any colour palette. 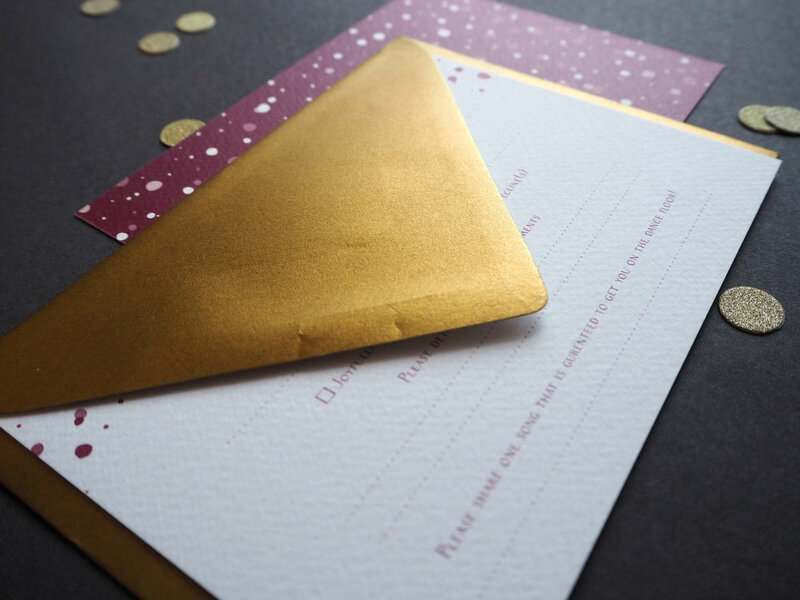 The examples below should give you an idea of how other combinations may look.